Depression is an extremely common disorder. To combat this, we have created a device that captures people's moods through a camera module connected to an Arduino and analyzes it with Google Cloud Vision. It then displays a high-quality vine to cheer them up when they are sad. This can help whether or not someone actually has depression and would just help them feel better. However, this device is not only for the depressed, but for the mentally sound as well. This device will detect your mood, and play the appropriate vine. 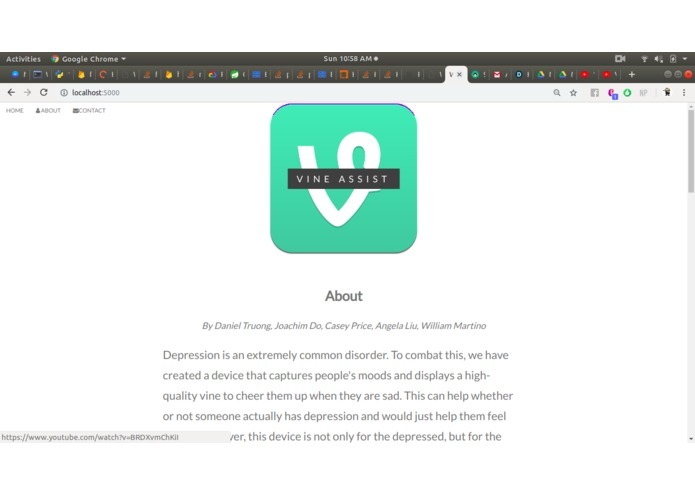 With the Vines Assist, we hope to aid in humanity's battle against mental health disorders. 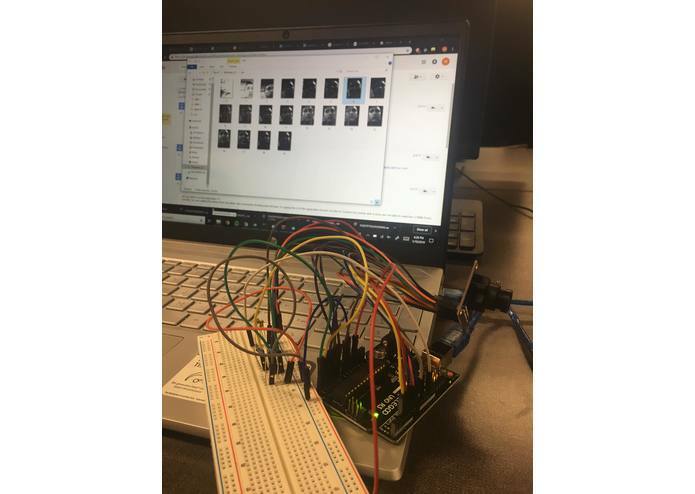 For the hardware aspect, we built the mood detector using an Arduino Uno and a camera module, which takes a picture of a person and uploads the image to Google Cloud. Google Cloud then uses the Vision API feature to analyze the emotion expressed in the image and stores it into the database. The database then runs through the stored vines based on emotion and plays vines in a specific emotion category. Installing software was difficult for us to debug because every time we tried something, we would run into more compilation errors. Firebase also kept giving us user authentication errors when we tried to run the API. For the hardware aspect, we ran into problems installing the necessary Java package and files to support the ov7670 camera module. We are proud that we were able to create the website and randomize the videos that are in queue to play. We are also proud that we were able to get the camera module to work and transfer the files to the Google Cloud platform. We learned to use Firebase and learned to code in python. We also learned how to set up the camera module and get it running. We hope to allow the program to recognize and associate more emotions. I worked on the backend by initializing Firebase and connecting the database of videos to the website depending on which emotion is registered. I worked on the getting the Arduino camera module working and getting those images to our web server. I also worked on the front-end of the website.